Three stunning waterfalls and views across the Columbia River Gorge highlight a trek that can be hiked as a loop or out-and-back adventure. Start at Horsetail Falls Trailhead, home to 176-foot fanning waterfall and popular picnic spot. The trail climbs into the forest and after a half-mile reaches Ponytail Falls, where you can hike behind the curtain of water. Beyond, the trail climbs to sweeping views across the Gorge, and after a total of 1.3 miles, you'll reach a bridge across the narrow slot of Oneonta Falls. Follow pointers to reach Triple Falls, an interesting braided falls with a nice picnic spot to rest, a total of 2.2 miles from the trailhead. Two options return to your car. From Triple Falls, you can return the way you came for a 4.4 mile out-and-back hike. 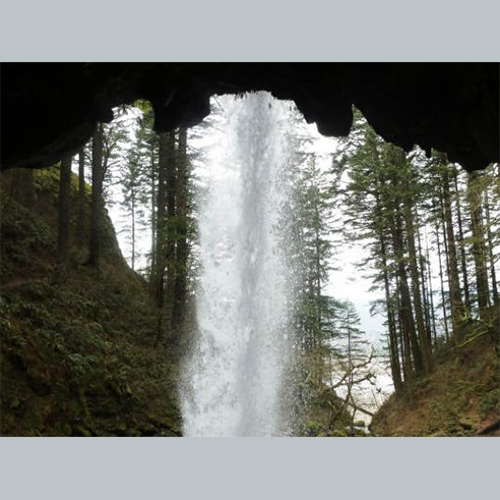 A second option is following Oneonta Trail two miles down to the Historic Columbia River Highway and another 0.5 miles along the roadway back to the Horsetail Falls Trailhead. The full loop is about five miles. Come by Mt. Hood Winery for a Tasting!